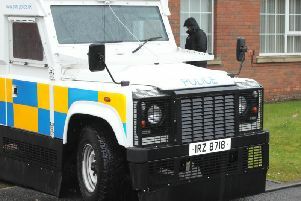 When police went to a house they found a shotgun propped up against a bed instead of being locked up in its safe box, Craigavon Magistrates Court heard last Friday. Gareth Lowry, Clarendon Park, Magheralin, admitted that on April 13 this year he failed to comply with two conditions of a firearm certificate held by him. They were that the gun was not stored securely and not locked in gun safe and that the safe was not secured to a permanent wall. The court heard that at 4.30pm police went to the defendant’s address and found a legally held shotgun propped up next to a bed. The gun safe was under the bed and not bolted to the wall in breach of the firearm certificate. Mr Peter Murphy, representing the defendant, said the gun had been taken off his client. He explained Lowry had used the gun a couple of days before and had left it there to clean it and had put the ammunition in the gun cabinet. Mr Murphy added that a gas company doing work needed access to the wall and the safe cabinet was taken down. He said Lowry had a gun licence for 12 to 13 years and he had no previous breach of the regulations. Deputy District Judge Laura Ievers said it was a significant offence but there were a number of mitigating factors and she would deal with it in an exceptional way by fines. For each of the two offences she fined the defendant £250.